In my previous post, I have listed some of the best cameras under 200 USD for the tight budgeters. Then I have found that the most of the people love Canon brand and searching “Best Canon Cameras Under 200 Dollars” and hence I have decided to craft this post for them. There are some passions that you can manage a budget like a coin collecting, or stamp collection, etc. But then, some desires require a good pocket to continue. This can include playing golf or even being a photographer. Now, I know smartphones these days have a camera, but for taking premium looking shots, one has to turn towards DSLRs, and those puppies don’t come cheap! Since you’re here, I guess you are finding a balance between quality camera & price. Well, that’s what I have in my mind while writing this blog post about Canon compact cameras below $200. Note: If you are in a hurry, below is a quick table of 5 best cheap Canon cameras, their price & link to their respective Amazon pages. Check the details of the Canon cameras that are the best value for money! 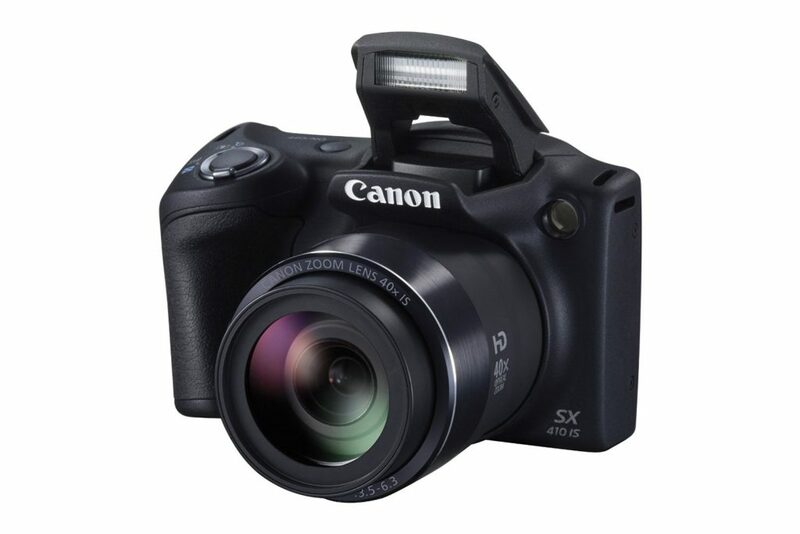 After merely a year of SX400’s launch, Canon launched its new PowerShot sx410. It may not be the best super zoom camera available in the market, but it is one of the excellent canon cameras under 200 dollars to buy. The previous model came up with a 30x zoom, and this one exceeds it to 40x. The increased zoom makes the new model a bit heavier, but it’s nothing to bother about. The camera has a maximum aperture of widest view of f3.4. The longer zoom has a narrower aperture at its long end. On the downside, the camera has a slow burst mode. Although, speed is one of the factors which are often compromised in budget cameras. Users who are looking for a camera to take landscape shots while traveling, speed isn’t much of an issue. 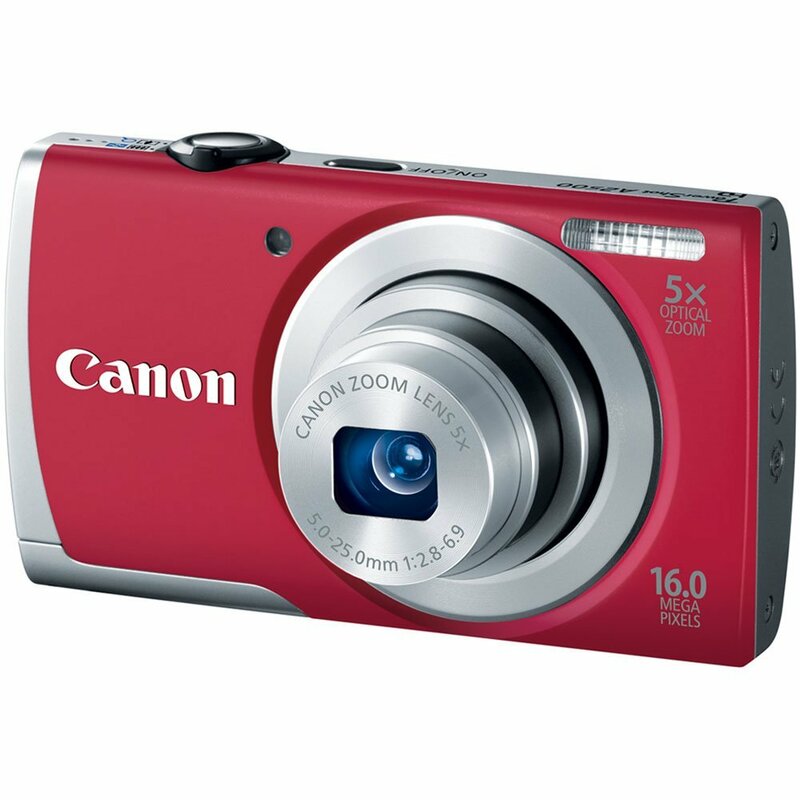 Although, it matters if you are going to use this canon compact digital camera for shooting sports and such things. In those cases, you’ll need an action camera or one with pretty decent fps. The camera has quite a decent shutter speed which will help you to capture fast moving objects without any blur. In a lot of cameras, taking smooth still shots or video requires quite an effort. But, this isn’t the case with the new PowerShot. Want to snap a picture of that cute kitten across the road? Want to capture a special occasion in a video? No worries, Powershot got you covered! 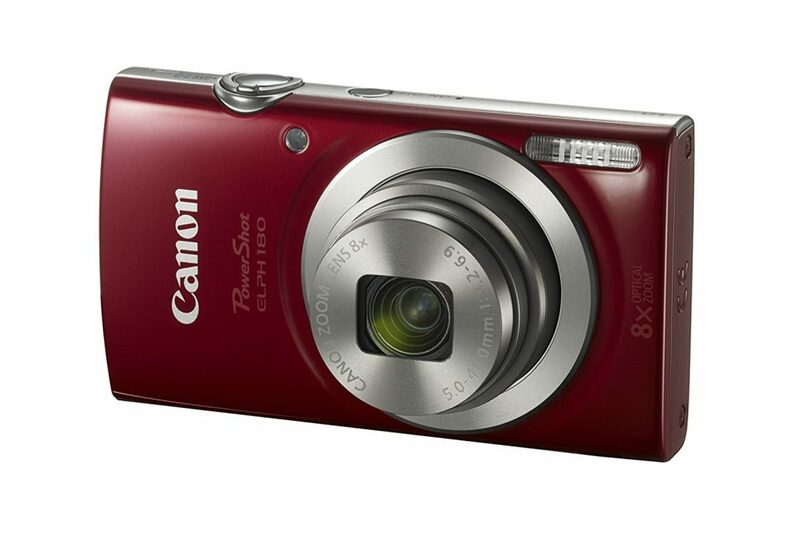 The Canon small camera equipped a powerful 12X optical zoom which makes it quite a flexible beast. It also has an Intelligent IS which makes videos and images shake-free even if you are zoomed out at maximum. With its 20.0-megapixel sensor & DIGIC 4+ image processor, shooting still and sharp images is quite easy and speedy. On the other hand, you can only make videos up to 720p HD. 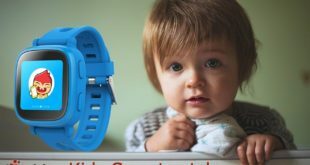 The Smart AUTO button quickly figures out the best settings for the camera based on location’s environment. 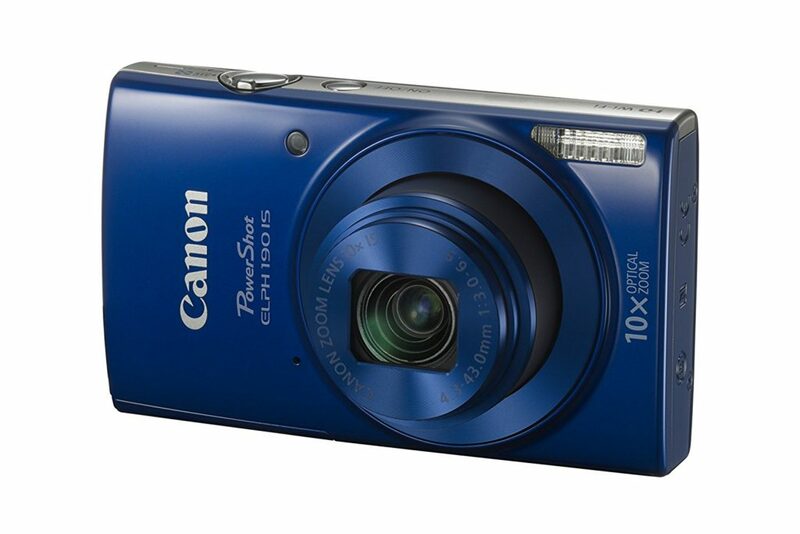 So, if you are searching for Canon Vlog camera, then it would be the best choice. 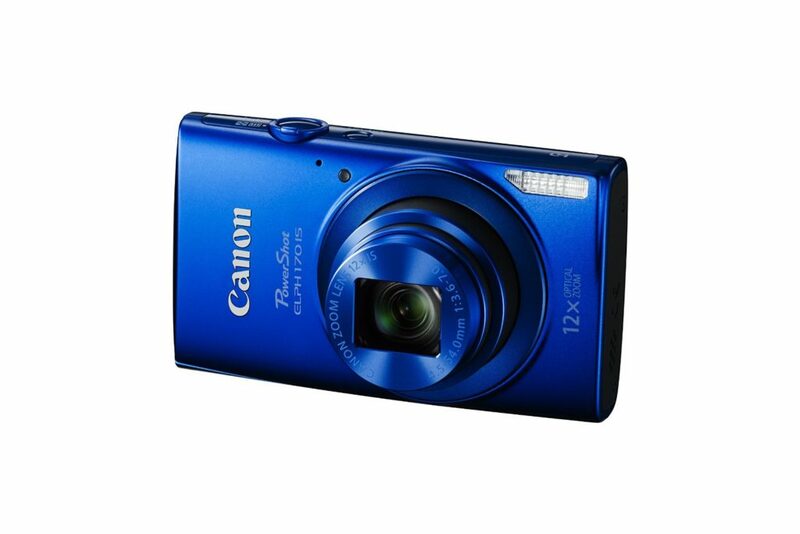 This one is much of a point and shoots with an impressive 20.0MP 1/2.3” CCD Sensor along with DIGIC 4+ image processor. Combining both of these, the result is an impressive image for still pictures and videos. However, I don’t appreciate the 720p video recording much, that too at only 25fps. The camera has an 8X optical zoom lens which would help you take better shots without much shake. As it is one of the quite impressive canon cameras under 200 USD, I have added this gadget to the list. Another point and shoot sort of camera from Canon that comes up with versatile lens for zooming. This good cheap Canon camera is quite similar to its predictor (the ELPH 180). Much like the previous one, it has got 20 MP 1/2.3 CCD sensor along with DIGIC 4+ image processor. The sensor and image processor still do a great job in producing awesome still images. However, like the previous one, this one too only allows you to record in 720p in 25fps. However, instead of 8x zoom lenses, this time, it has a 10x optical zoom lens which no doubt permits flexibility while working with different subjects. The image stabilization is neat as well. This one has a built in wifi which would allow transferring your data to your mobile device or laptop. Besides, this affordable Canon camera has a smart auto feature much like in many Canon cameras and also has one eco mode which can help you save some battery juice. Users also get a dedicated help button to sort out issues about specific camera controls. This Canon best camera was launched back in 2013 and is a 16 Megapixel with the 2.7inch screen. The zoom, however, isn’t the best. This inexpensive Canon camera is pretty much an entry-level A-series with a 230k dot LCD Screen of 2.7 inches, although all models above this come with 3-inch screens. The screen is the only specification where it gets different from its new design A2600. For capturing photographs, this Canon pocket camera does an excellent job, however, in video mode, 720p might be a let down for many people. You can although use the zoom function while recording. The Canon logo on the camera is a bit raised, which doubles up as a grip for holding too. From the price segment at which you are searching DSLR, I know that you are someone who is starting to get their hands wet in photography. The piece of advice I have is to get the camera that serves the need. For example, if you need a camera just for clicking still shots, find one with a great zoom and image stabilization. However, if you need your camera for making & editing videos, find one that can record in 1280p or above. There are a lot of cameras in the market for every budget. 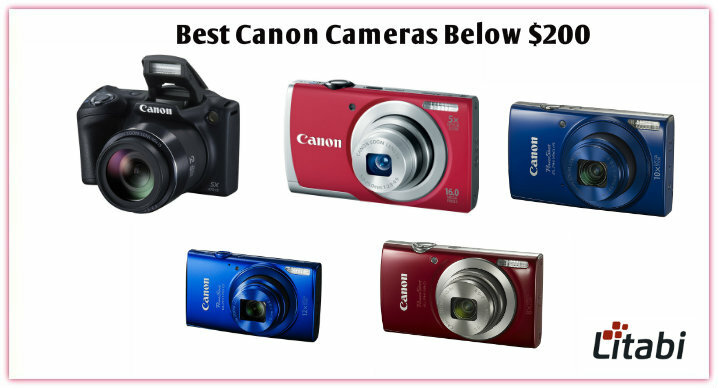 If you have a low budget, then you can get the suitable one from the listed Canon cheap cameras. So, do you like the features of these Canon cameras under 200 dollars? How about getting the Canon camera with flip screen? Also, do let me know which camera you would be picking up from this list?